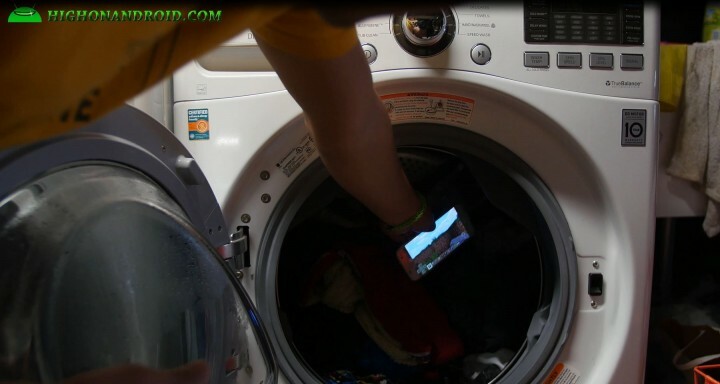 In this video, we test the Galaxy S7’s waterproof IP68 rating vs. LG Washing Machine for a full cycle of 45 minutes in water. Will the Galaxy S7 survive the beating? FYI, I almost had a heart attack making this video so please thumbs up thx! I used VRS Design Crystal Mixx case for this test. Since we are only testing waterproofing, I needed something to protect against scratches when the phone banged the metal innards of the washer. You can check out my case video here. Next story World’s Slimmest USB Power Bank w/ Quick Charge 2.0!